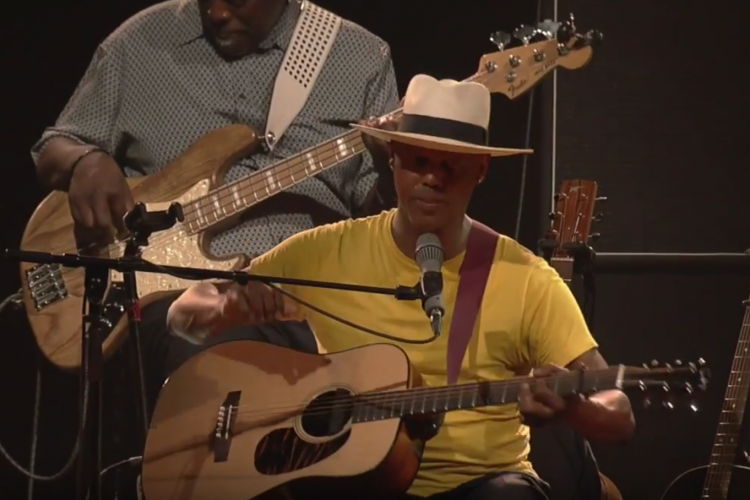 Eric Bibb, the son of Leon Bibb a singer-songwriter popular during the folk music scene of the 1960’s, grew up surrounded by the folksingers of the time including Leadbelly, Odetta, Pete Seeger, Paul Robeson and Bob Dylan. Other influences include Joan Baez, Richie Havens and Taj Mahal. Bibb released his debut recording in 1972; to date he has 22 studio albums, 16 collaborative albums, four live recordings and three DVD’s. 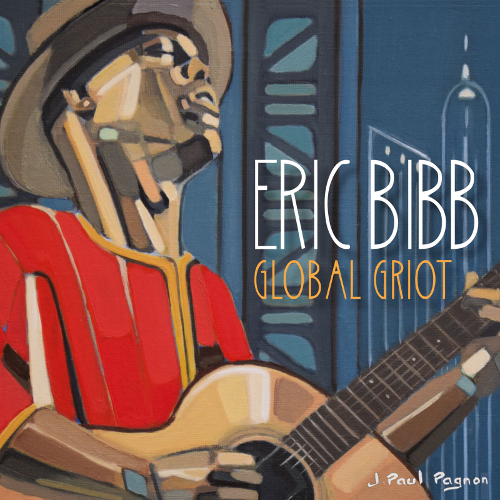 Bibb has 22 Blues Music Award nominations winning three times for Acoustic Album of The Year; last winning for 2017’s “The Happiest Man in The World”. 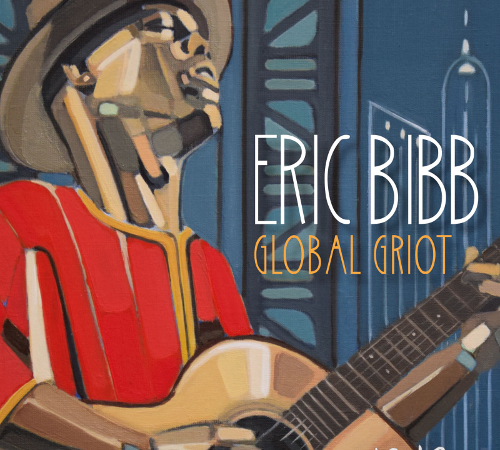 Bibb has also received Grammy nominations for the 1997 children’s album “Shakin’ a Tailfeather” recorded with Taj Mahal and the California based Linda Tillery; and for 2017’s “Migration Blues” recorded with Jean-Jacques Milteau, a French blues harmonica player. As a troubadour Bibb has done his share of traveling the globe bringing his music with him wherever he wanders. “Griot” is a West African word describing “a member of a caste responsible for maintaining an oral record of tribal history in the form of music, poetry and storytelling”. This two disc recording includes one cd of world blues and another more contemporary styled. Bibb, various guitars, banjo and vocals; is joined on two tracks by Solo Sissokho, kora and vocals. The kora is a West African stringed instrument. They open with “Gathering of The Tribes” which sets the tone for much of the beautiful music that is to follow. The song is co-produced by Bibb and pianist Jesper Nordenstrom. Sissokho appears again on “Spirit Day”. Among the many guests is Habib Koite, guitar and vocals. Bibb first met Koite fifteen years ago when they were both invited to play on Putumayo’s 1999 compilation “Mali to Memphis”. They realized that blues has its roots in Africa and they have since developed a friendship. They reunited in 2012 to record the album “Brothers in Bamako” also on Stony Plain. Koite guests on both “We Don’t Care” a song about our desire for conspicuous consumption; and on “Mami Wata/Sebastian’s Tune”. Also guesting is Canadian blues musician Harrison Kennedy. Kennedy is a Maple Blues Award winner and a five time BMA nominee. Interestingly he was the former lead singer of the “Chairmen of The Board” who had a 1971 R n’ B single with the same name. Kennedy sings on four songs including lead on “Brazos River Blues”, “Listen for the Spirit” and on a fabulous cover of Big Bill Broonzy’s protest song “Black, Brown and White” first recorded in 1959. Vocalist Tillery guests on “New Friends”. The topical “What’s He Gonna Say Today” is about the current occupant of the White House. Selected covers include both “Michael, Row Da Boat Ashore” and “Last Night I Had The Strangest Dream”. My favorite however has to be “Whereza Money At” with the horn section of Kuku Ansong, trumpet; and Owura Sax, tenor saxophone. Don’t be surprised if the latter becomes a New Orleans classic. Taj Mahal first introduced us to World music. This new album carries on the tradition of melding blues with World music. Bibb has done it again as this just might be the 2019 Acoustic Album of The Year.